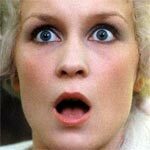 Needless to say The Beast (Le Bete) is certainly one of the more… unusual films I’ve come across. However, it’s not for everybody and frankly, as strange as it is, and actually the performances aren’t half bad all things considered, I’m not sure if this is one I’ll ever revisit. I’m not entirely sure how Aloha got off the ground but as one of the subjects of the Sony hack, it might’ve been doomed from the get-go and for good reason: it’s a film with a haphazard plot but worst of all, the cast share absolutely no chemistry in spite of featuring some fine actors. Bottom line, this is a movie destined for the bargain bin and later air on USA. 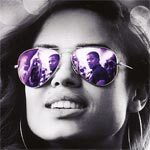 Beyond the Lights is one of the better surprises to come out of 2014 with a compelling, if not formulaic melodramatic, story that is highlighted by a breakout performance by Gugu Mbatha-Raw who hopefully finds more lead roles beyond television. The Blu-ray released by Fox includes a decent amount of bonus material and fantastic video/audio transfers. Laggies is an uneven drama-comedy but it propped up and propelled by a charming performance from the cute and adorable Keira Knightley proving she can excel in spite of any issues with the screenplay, in this case it’s just not a memorable story. Sam Rockwell also works well opposite Knightley and although she’s nothing overly noteworthy, Chloe Grace Moretz turns in a passable performance. 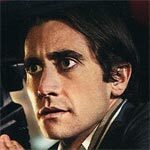 Nightcrawler is one of the more stomach-churning films but not for the violence but Jake Gyllenhaal’s performance proving once again, following great turns in Prisoners and Zodiac, to be a versatile actor. 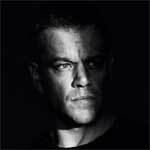 But even putting him aside, Dan Gilroy’s satirical screenplay is just one other reason to see this film, it’s akin to a dark and grittier version of Network.